REDUCED $10K!! 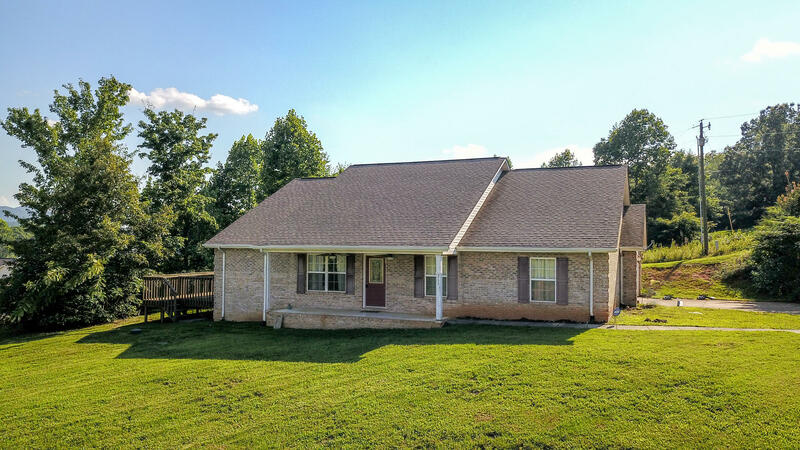 THIS ALL BRICK RANCH HOME SITS ON A DEAD END STREET & FEATURES MILLION DOLLAR MOUNTAIN VIEWS! AMENITIES TO INCLUDE: SPLIT BR PLAN, LARGE GREAT ROOM (W/HARDWOOD FLOORS, CATHEDRAL & STONE FIREPLACE), OPEN DINING AREA (W/HARDWOOD FLOORS), OPEN KITCHEN (W/MARBLE COUNTER TOPS, TILE FLOOR, & ALL APPLIANCES STAY INCLUDING THE REFRIGERATOR), LARGE MASTER BEDROOM (W/LARGE WALK-IN CLOSET), MASTER BATHROOM (W/JETTED TUB, TILE FLOOR, DOUBLE SINKS, & WALK-IN SHOWER), 2 GUEST BEDROOMS, GUEST BATH (W/TILE FLOOR), UTILITY ROOM (W/TILE FLOOR) & A 2 CAR GARAGE! EXTERIOR AMENITIES TO INCLUDE: PRIVATE LOT W/NICE TREES, PRIVACY FENCE, DEAD-END STREET & A DECK WHERE YOU CAN SIT & ENJOY THOSE MILLION DOLLAR MOUNTAIN VIEWS!! HOME IS BEING SOLD AS IS.